As a licensed Realtor® for 25 years, Mary Lou Hutchinson enjoys getting to know those she helps in searching for the perfect home or those she assists in the sale of their property. She works tirelessly assisting her clients in finding the right home, whether their dream home or starter home. 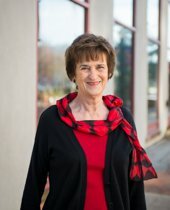 Mary Lou grew up in Jackson where she married, reared her three children, and had a career in sales management. She and her family returned to her birthplace of Collinsville and settled in the Martin community. Mary Lou enjoys spending time with family and friends, participating in church activities, traveling, dancing, and meeting new people.